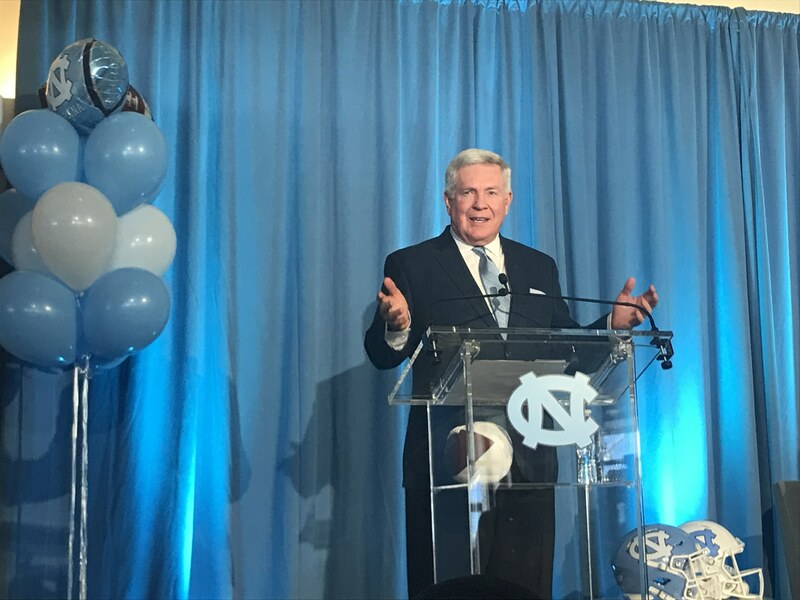 UNC head football coach Mack Brown continues to work his magic on the recruiting trail, as the Tar Heels sealed up a verbal commitment on Wednesday from four-star wide receiver Josh Downs. Downs–from North Gwinnett High School in Suwanee, Georgia–is the No. 342 overall prospect regardless of position in the Class of 2020 according to 24/7 Sports. The 5-foot-10-inch receiver caught 37 passes for 624 yards and nine touchdowns last season. He chose the Tar Heels over other offers from schools including Michigan, Oregon, Ohio State, NC State and Duke. Downs becomes the fourth four-star recruit from the Class of 2020 to make a verbal commitment to the Tar Heels already, out of six total recruits who have announced their intentions to play their college ball for Brown in Chapel Hill. At this point in the process, 24/7 Sports has UNC’s recruiting class for next year ranked No. 13 in the country–one spot behind Wisconsin and one spot ahead of Notre Dame. For more information on Downs, click here. NextHillsborough Mayor Stevens: Utility Convenience Fees?